Shanghai’s food culture is hard to tackle in one visit so I always tell visiting friends to start with two things: a basket of soup dumplings and a bowl of yellow croaker noodles. 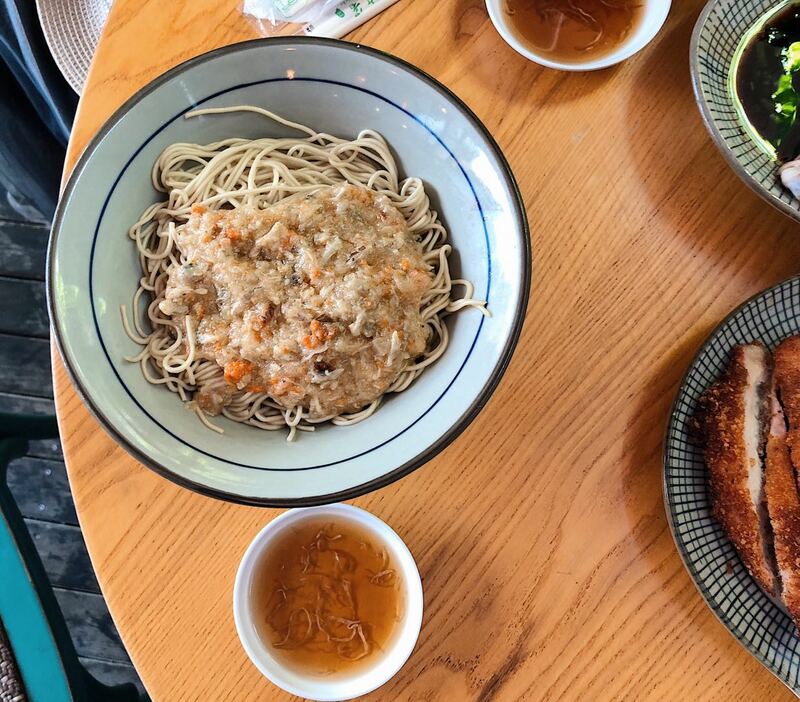 While soup dumplings have been widely covered, yellow croaker noodles really don’t get as much love! 黄鱼面 which literally translates to ‘yellow croaker noodles,’ are essentially springy noodles in a creamy golden broth filled with chunks of yellow croaker. At 蟹黄鱼 Xie Huang Yu, my favourite noodle spot, they also toss in minced crab to enhance the umami flavours. Add a light splash of vinegar to the broth and it’ll be just perfect. A local gem in Xintiandi, you’ll find plenty of locals lining up here during weekday lunch hours! At Xie Huang Hu, they’ve really perfected that delicate balance of a creamy soup without any fishiness to it and chunks of yellow croaker plus crab. At 68RMB per bowl, it’s a steal! The restaurant’s signature wontons stuffed with yellow croaker are also excellent. You can really taste the fleshy fish meat and the wontons themselves are delicious when dipped in the vinegar-soy sauce. Other popular dishes to share include fried yellow croaker, chicken in a spring onion marinade, and Shanghai-style fried pork chop. Note that Xie Huang Yu’s yellow croaker noodles are certified 网红 ‘viral’ which means that celebrities and locals alike will queue just to get a taste of it. My favorite location to visit is the Xintiandi branch, which is really in the heart of Shanghai. The key is to go after 2pm you want to miss the lunch crowds! After all, you really can’t leave Shanghai without trying a bowl of these yellow croaker noodles, it’s a Shanghai-must.